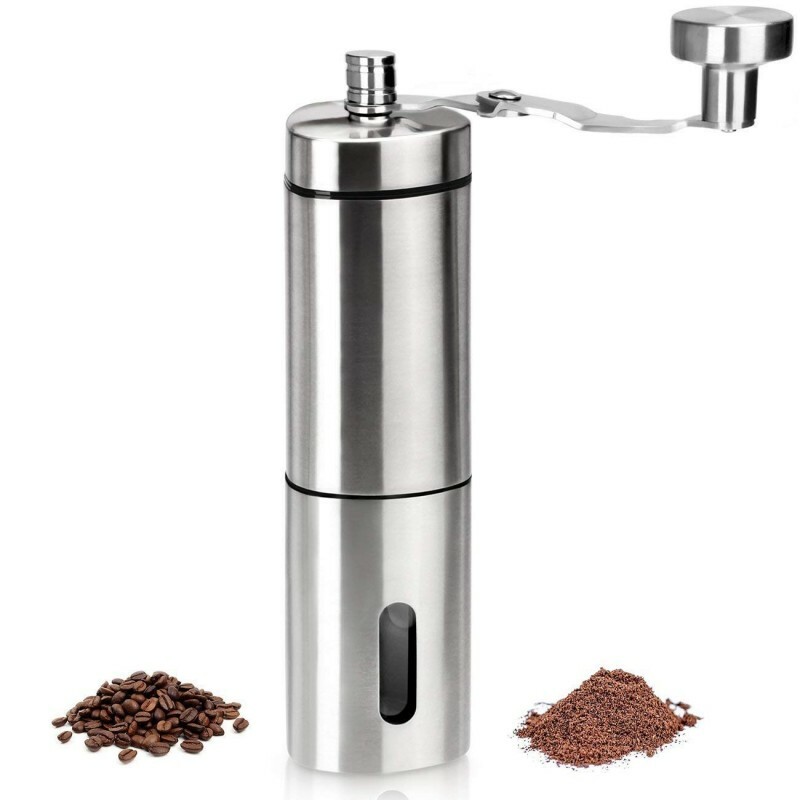 • Perfect for Drip, Pour Over, French Press, Cold Brew, AeroPress, Single Serve K Cups and Pods and many More! A key to a good day is getting off on the right foot. Starting your mornings with mediocre store-bought coffee could get you off on a bad start. Creating your favorite cup of jo every morning is the best way to feel great every hour of the day. 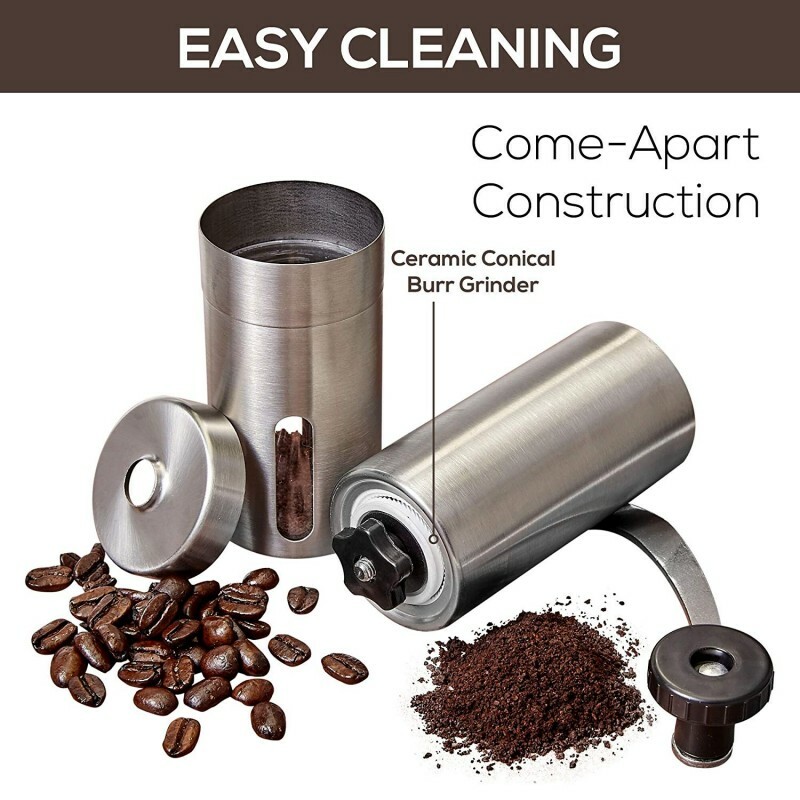 With our grinder, you're in control of how you begin your mornings. Place your favorite coffee beans in the grinder and attach the crank. Spin it until you feel the beans are a fine dust. 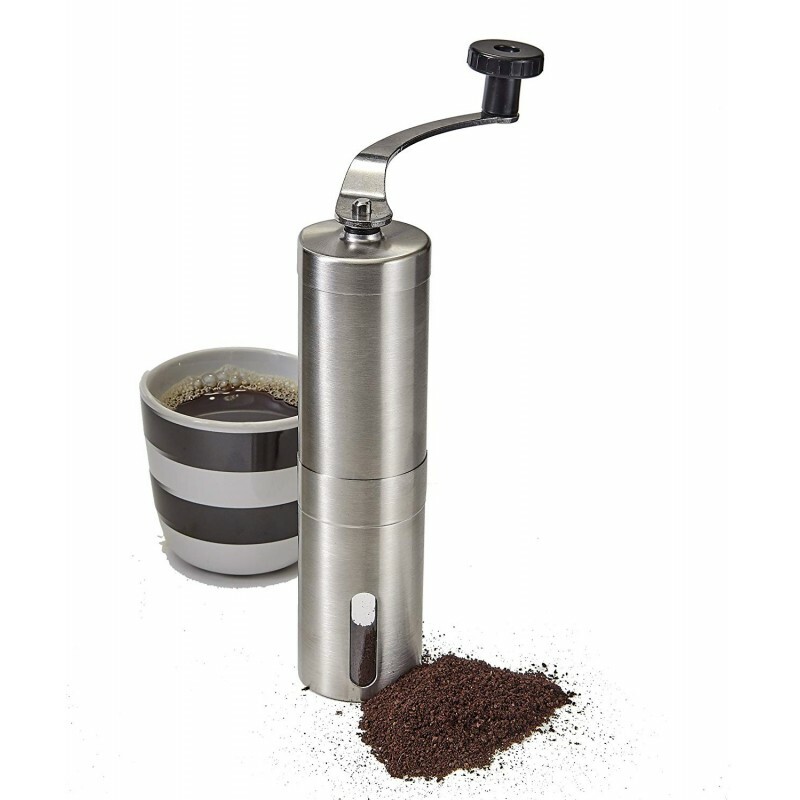 The grinder is perfectly designed to create coffee grinds fine enough for a smooth and tasty sip. It is lightweight and compact so you can store it in your bag or purse without hassle so you can enjoy your favorite cup on the go. Great for camping and hiking trips so you can enjoy your best cup underneath the evening stars!